Samantha T.F. Lillehoff – McGeady Becher P.C. Samantha joined McGeady Becher as a special district attorney in 2018. Prior to joining the firm, she clerked for the Honorable Terry Fox in the Colorado Court of Appeals. As a judicial law clerk, Samantha performed extensive legal research and writing on complex civil and criminal issues, including those involving special districts. 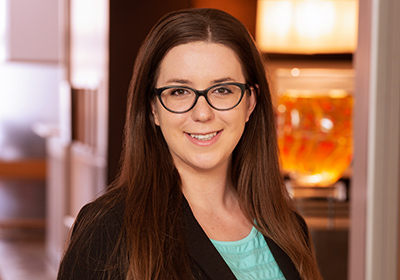 While in law school, Samantha completed judicial internships in the Colorado Court of Appeals with the Honorable Richard Gabriel, and in the U.S. District Court, Denver, CO, with the Honorable Michael E. Hegarty. Prior to her legal career, Samantha taught literacy to third grade students in Montbello, CO, and also served as an intern for Colorado State Senator Keith King and for the Colorado Senate Minority Office. When she is not practicing law, Samantha enjoys gardening, yoga, and dancing.